What does it take to have a successful Black Friday or Cyber Monday for your ecommerce business? How can you extend that success to the rest of 4th quarter? On this episode of The Amazing Seller, you’ll hear from Scott as he goes over his new brand’s recent Black Friday and Cyber Monday sales numbers. If you’ve been around the TAS community for very long, you know that Scott’s not bragging when he shares these numbers. He wants to motivate sellers like you and give you the tools you need to experience the success that he enjoys. Make sure to listen to this episode as Scott reveals six takeaways from his recent successful sales numbers. What is an effective way to test new product ideas? What will it take to drive sales and strategically spike your sales at any given point in time? Imagine what it would mean to have a constant connection and your finger on the pulse of your customer base. On this episode of The Amazing Seller, you’ll hear from Scott as he stresses the importance of building an email list. Many long-time TAS followers know that Scott is passionate about getting all his listeners on board with building their own email list. For good reason! Scott and his team have seen the power and effectiveness of an email list and how it can help launch a brand into sustained success. To hear Scott expand on this topic and much more, make sure to listen to this episode! One of the most frustrating things in life is to go into an endeavor expecting one thing only to get a completely underwhelming and disappointing result. Have you had one of those experiences lately? Don’t let that be the case for your venture into building an ecommerce business! If you follow the advice and insights that Scott and his team share, you won’t hear any “Get rich quick” concepts or “Overnight success” stories. Scott wants to help sellers like you succeed but he’s not willing to talk the talk without having walked the walk. Listen to this episode of The Amazing Seller as Scott explains how he runs the TAS community and why it’s important to tune out the voices who make big promises with little effort! As Scott teaches, if you want to succeed, you’ve got to put in the work. 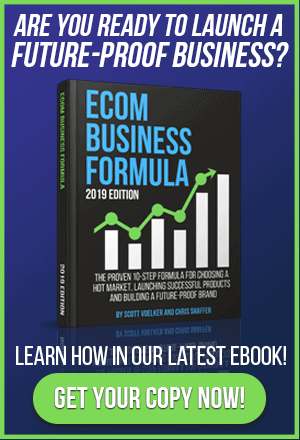 He often gets asked, “Is it too late to get an ecommerce business up and running even in the throws of the 4th quarter?” Scott always responds by saying that it is never too late to start but it’s important to know you probably won’t see results for a while. In his experience, it all comes down to laying the right groundwork before you can expect to see the results you hope for. To hear more about Scott’s story and what it takes to build a successful ecommerce business, make sure to listen to this episode of The Amazing Seller! [3:00] The new brand’s success on Black Friday and Cyber Monday. [9:00] Scott breaks down his recent Facebook post. [13:30] The advantage of laying the groundwork. [15:00] Scott’s 6 takeaways from Black Friday/Cyber Monday success: #1 Just Start! [16:30] #2 Launch multiple products. [22:00] #4 Build an email list. [28:00] #6 Never give up. [30:00] Scott recaps all 6 takeaways. …answer your questions here on the podcast and I do it every single Friday. Well, actually I take that back. I missed a couple and the reason is because well the most recent one was I had something important that I wanted to share and that was the five part series and I didn’t want to break up that series. So I skipped an Ask Scott session and this way here I could keep that series going. We didn’t break it up. If you guys don’t even know what I’m talking about I did a five part series really how to launch a product. The five step road map and everything in between and I’ve been getting a ton of great feedback, a lot of emails, tons of downloads so definitely go check that out if you’ve missed it. I’ve actually taken all of those episodes and I grouped them into a nice little package for you on the blog and I would recommend doing that as well because on the blog I actually included each section as far as like the parts but I also in some of them I had video stuff that I was sharing with you. So you’re definitely going to want to check out those videos as well. So go there, check it out, theamazingseller.com/start and that will make it really super easy for you to go through and consume that information. You could always just do it through your phone and your player of choice but if you want to actually see the videos sand if you want to go through like the show notes and all that stuff, everything is there in a nice little package. So definitely go check that out. 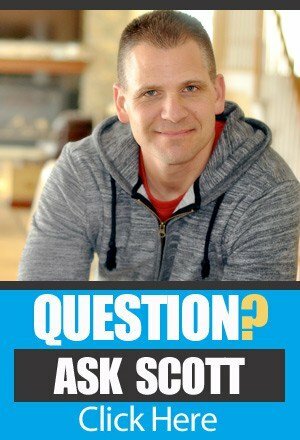 If you guys have a question that you want me to answer on an upcoming Ask Scott then go over to theamazingseller.com/ask and you can do that. But today is going to be a little bit different. Because I’m not going to answer a “live” question from one of you guys. What I decided to do here because we’re coming out of Black Friday and Cyber Monday, I wanted to give you the aftermath. [00:02:04] Scott: But I wanted to tell you a little story about the $6,810 day, actually and 91 cents that we just recently had with Cyber Monday and the reason why I want to share that with you is because I get this question a lot and that is, “Scott, if you were to start over again today what would you do?” Well, I’m going to share with you exactly what I would do. And that’s really why I want to talk about this most recent day, this $6,810.91 day that we achieved because we followed this five step roadmap that I teach and that I share and that’s what I want to do. I want to give you guys these take aways. I have six big take aways that for me personally I live by and I think that you should live by or I think that people going into any business should live by. So I’m going to give you guys some things to think about but I’m also going to give you guys kind of like play by play of that day. Now, that day was great, black Friday was great too. Just not to kind of downplay Black Friday. Black Friday was amazing. On that day we actually did $4,973.89 cents, 254 units sold. So almost $5,000 on Black Friday and well, I’m actually in my numbers right now. So I’m going to do this right on the fly. We’ll see if we can do this here and I don’t want to have a lot of dead space here. So let’s just see. So then the day after we did 96 units. So the day after Black Friday we still almost 100 units at $1,892 and I’m going to go ahead and go ahead a little bit here… I’m doing this on the fly. I never do this. Let’s go ahead and do this. This is on a Sunday by the way, 112 units. So $2,202.93 and then that brings us to that beautiful day which was Monday which was the 27th and on that day there which was Cyber Monday was $6,810.91 and that was 354 units. [00:04:08] Scott: So not a bad weekend. We started it on that Friday and then from there we finished up and it was a total 816 units. That’s $15,880. Now, this is a new brand. This is a brand that isn’t even eight months old. The reason why, I want to say this because some people those who show screen shots and be like, “Oh look at us, we did $50,000 in three days or heck we did heck we did $100,000 on Black Friday.” For us this is new. A lot of people they look at those numbers and are like those are Amazing and then some people will be like I want to do whatever everyone’s sharing online. They are sharing like $100,000 days. To me this is realistic and I want to get into why that’s important to understand that. I’m also going to give you the road map that we followed and that we continue to follow like when we start a new brand. And this is something that we’re going to be doing in the future, it’s we’re going to try to do exactly what we did here and we’re not going to do ten a year but we’re going to try to do maybe one new brand a year and add it. If it makes sense. If it doesn’t make sense we won’t do it which it’s going to continue to build out this brand and this brand has got us really excited because there’s a huge potential there. We’re well over six figures since we’ve launched which is awesome. For anyone that’s just starting and asking themselves or wanting to ask me, “Scott what would you do if you were to start over today?” I just did what I would do eight months ago. It just happens that now we are in fourth quarter and we’re benefiting from that. So now because we’ve got the groundwork set, we’ve got everything done and in a sense we’re still launching new products. We’re always going to be growing so next year we might look at these numbers and they might be double. That’d be amazing. That’s like the goal is to double our sales. [00:06:00] Scott: Maybe even triple, who knows. But we’re laying the groundwork now. So you can’t expect to launch a month before Black Friday or Cyber Monday and think that you’re going to have these kind of numbers. If you do it’s rare. So just keep in mind that it takes time and you have to plan. Every single thing that we did, because I hear a lot of people too they are like, “Scott, give me the secrets, you’re not on air, you’re not being recorded. What are the secrets? What are you doing behind the scenes that people aren’t seeing that you can rank a product or that you can build that email list. Is that really what you do?” The answer is yes. It’s exactly what we do. Now, do we go in more detail in the private label classroom and stuff? Absolutely. We have more structure in there. I’m able to visually show things. Chris is in there, whether it’s answering questions that are coming in because something doesn’t make sense we might create a new video, we might create a new training as far as how to follow up and all that stuff. There’s only so much you can do on audio and there’s only so much you can do on YouTube. So yes, we do more in there. We do take care of our students but I’m giving you guys the play by play here on the podcast. So just keep that in mind. Every single thing that we did I shared on the podcast as far as the overview of what we’ve done. So I wrote a Facebook Post, it feels like a blog post and I wrote one longer than I normally do. I shared a Cyber Monday screenshot which I normally don’t do screenshots. I’m not a fan of everybody shining the light on themselves or looking at the screenshots because it seems like you’re bragging. To some people it’s like, ah you’re bragging. Then also you don’t look at the revenue .. You look at the revenue, you don’t’ look at the net profit. Just to let you guys know we’re averaging about 44% margin, right now. We’re going to get that better moving into 2018 because now we’re going to be buying more. [00:08:01] Scott: We’re going to be, a lot of the stuff we did by air. I think we did two orders by sea but we did a lot of them by air. So we paid more. Actually we’re going through that now. We have a product that we’re going to probably run out of inventory on. We aren’t going to be able to get it until end of January now because we’re in fourth quarter and we thought we ordered enough but we didn’t. We’re thinking about splitting that and spending more on air shipping just to get 1,000 units here quick so we don’t pay the penalty for running out of inventory. So even though that margin might be 32% who cares? It’s still above 30%, we’re at 44% which is just amazing. And that is the truth. We did no promos, we did no discounts. We even increased our price on two items by $2. And we did that just because we felt like that product needed to be more expensive anyway so we’ve been nudging it but we said, the traffic we might as well. I talked to my good friend, Mike Jackness and he said he did the same thing. So again, you may want to play around with that when you have this kind of traffic, that’s totally up to you. But this Cyber Monday we didn’t even email our list with a special promo. All we did is give them a piece of content and said, “Oh by the way we’ve got stuff over on Amazon.” That was it. We didn’t even give another discount. [00:10:03] Scott: Because Black Friday we did give a discount and on Black Friday, it’s funny we gave a discount but some people didn’t even use the discount. They just bought. Which is kind of weird and I think that’s because they go there and because you see the retail price at like $39 and then you see the sale price at $29. They end up buying it because they think that that is the marked down price, for whatever reason. So not all the coupon codes were used but we did get a lot of sales from the email. But again, all we did there just to recap that really quickly on Black Friday because some people want to know that, we sent three emails out in one day. Actually we sent four because we sent one two days before just to set it up. Then we would email them and our special for our list, only our list we did not discount anything on Amazon. Mind you, if you went to Amazon nothing was discounted. But if you were on our email list we gave you a discount. No lightening deals, none of that. We even dialed back the pay-per-click. So what we ended up doing was we gave 25% off any product in our store. 25%. Now, what we did do on three products that want to liquidate, I talked about this before too that we wanted to, we still want to get rid of three SKUs. Some of these SKUs we thought were going to do better than they are or some they were just ones that wanted to get there to get started. They didn’t perform as well as we wanted to or maybe got over saturated so we pulled out. Whatever. We’re getting rid of them. Actually there’s one of them we might keep as a lead in offer. We may keep that because we buy it for like three bucks and it still sells for like fourteen. It was selling for about sixteen but what we’re thinking about doing now is using that as a free plus shipping offer and then running them through our own sales funnel but that’s for another conversation. But what we ended up doing because we had about 1,000 units, we’re like you know what we’ll just try to blow these things out. [00:12:04] Scott: We’ll just put a 50% off on those. We’re still getting all our money back. We’re paying for the fees. It doesn’t’ cost us anything. So we did that. I think we sold about 50 or 60 units of that one item. So it wasn’t crazy but it was okay. But still that’s still selling more now because of fourth quarter. I think we’re still selling about 15 of those a day now. Which is cool. So we’ll go through our inventory, no big deal and we still may use that as our lead in offer. So that was Black Friday. You heard the results. Black Friday didn’t do as good as Cyber Monday. So then I had a conversation with my partners Chris Shaffer and my silent partner, in a sense and we talked about should we be doing another promotion and I said, “I don’t think we should because I don’t want the email list to think we had a sale on Friday and it really wasn’t a deadline sale. We were going to have that through Cyber Monday. So let’s just leave it. Let’s not do anything. Let’s see what happens.” So we did it and we were blown away. We were selling a lot and it was funny. We would refresh and sometimes we would jump ten, fifteen, sometimes twenty. It was exciting, it was fun, it was great. But I get a lot of people say Scott, how do I get there? How do you do it? It’s awesome that you’re… Well the thing is we started back in April or May of last year, I’d have to look. It’s just under eight months. But we laid the groundwork. And now things are starting to roll. Things are starting to get momentum but I want you to know that we laid the groundwork. It’s really important that you understand that. I get people that say, “Scott, I missed the boat on fourth quarter. So what should I do? Should I still launch?” And the answer is yeah, you should still launch or you should still do product research. [00:14:03] Scott: Just right now when you’re doing product research, the numbers are going to be skewed a little bit in Jungle Scout but that’s why we go through how to do history searches and all that stuff. I talk about that on other episodes and again if you want that stuff I would go through that five step roadmap. Again, theamazingseller.com/start. Go check that out and they will be in the product research part in that series. I actually have a video there that actually walks you through that type of stuff. Because that’s important, because a lot of people say, “I can’t do research now, I can’t pick products now.” You can if you know how to do the research properly and if you know how to do the history search and you know how to look at trends. And you don’t get fooled by the numbers. That’s important. So let’s move on. All right, so here are some take aways. I’m going to give you guys six. Six takeaways. Number one and this is a simple one but a lot of people don’t do it and that is just start. Just start. Like we had no idea how good or bad our first product was going to do but we launched and we learned. We had no idea. None, this was just, it’s like a shot in the dark. What we did do is we followed that roadmap that I share. We went through the product research, we validated that there was a market, we validated that the products were selling, we validated that we can make it better. We seen that there was other groups that were big on Facebook so we knew that there was a big audience that we can build a list in. So we did this whole thing before we jumped in but we started. We didn’t have it all figured out. We just launched… Actually we’re going to be launching two new products. Those products weren’t even thought about when we first started. But we’ve learned through the market. But we started. You have to just start. You have to do something whether that’s only launching, ordering 100 products, 100 of your one item or 50. Whatever it is, just do it. [00:16:06] Scott: And get yourself going. Learn the process. Just start. That’s number one. Number two, this is a big one. Launch multiple products. The idea is to launch a variety of products and also add variations and this is a big one. I’m going to talk about this one. Again, I wrote this in a Facebook post but I’m going to elaborate here. We had a product during Cyber Monday and just now in general that has four variations but on Cyber Monday it did 105 sales collectively. Now, if we only had two variations, we might only have gotten half of those sales. But because we started to expand it we now have broadened how many of different styles we might have or different sizes that we have. It might attract a different audience or maybe someone that has a different taste or maybe someone that has bigger hands or whatever. So, people ask me though, “Scott, how do I launch variations? What colors do I pick if I’m going to pick colors? What sizes?” Well, we always start with which ones are selling the most right now? That goes into product research and looking at your competitors and seeing how many of that one color they are selling? Or maybe how many of those sizes? If you’re selling a certain glove, well you might not want to do small, medium, large and extra large because you know, by doing your research that the large and the extra large are the ones that are mainly selling. You would still set that listing up as you have four variations just small and medium are going to be out of stock right now. But that’s huge because, and we’re finding this out. We have four variations. We’re ready to add two more and then we’re going to add another two more. So we can add more to this one product, with just more options. [00:18:01] Scott: A different, like I said, whether it’s a different style, whether it’s got a different attachment than the other one. Whatever it is, it’s got to be a variation of that product. So if it was a garlic press, it could be a garlic press that was black or red or blue and then you can also even kick it up another notch and say that you have one that’s a ten inch, one that’s a sixteen inch. Then you can do one in blue, one in red. One blue, one in red. You can play with that but again, that can get a little overwhelming in the beginning. You always want to start with the ones that you think are the most widely used. So that’s number one. If you can launch a product with multiple variations, that’s a great way to add multiple SKUs. The other thing is to test more than just one product. This is where a lot of people get hung up because then that means you have to go out there and you have to buy a ton of inventory. It’s not true. You can go out there and test 100 units of something. Buy three of them at 100 units, three different products, three different listings, do that. This way here you have a wider net in a sense that you’re going after or you’re going a little bit wider in your products. Then this way here you can test different products versus just going after one. So many people they’ll say, “I’m going to go all in. I’m going to buy this and I’m going to get 1,000 units.” You might not want to start with 1,000 units. You might want to start with only 300 or 500. We found that in this new brand, that has been really, really good and like I said, before earlier you heard me say that we’ve actually ex-ed a couple of products because they are not performing the way that we wanted them to or maybe they are just not 100% aligned in the brand anymore for whatever reason. So you just have to make those decisions and for me it’s like, yeah, I can say well we’re doing two sales a day but if I take that money and get it back and I try to go after another product that can do my ten units a day, am I better off doing that? The answer is usually yes. But if you can buy that inventory at low quantities and still get two to five sales a day, then maybe do that. [00:20:01] Scott: Why wouldn’t you? It’s another SKU that’s going to and to the overall product line. So that’s number two. I know I went on a little bit there but it’s really important and that I’ve seen a big thing. So if I was starting a new brand today I would think how can I launch multiple products? Maybe three products right out of the gate at low quantities. That way there I can test three different ones. Or at least do one product that has two variations. That would be another option. Number three, moving on. Be patient, the long game approach. That’s what this is. Again, I’m giving you these, these are my take aways. Number one we just started, number two we launched multiple products, number three we were patient. We didn’t, right out of the gate we weren’t doing ten units a day. Yes we were able to launch every single product by having an email list, letting them know that they are on our list, we’re launching a new product and they are going to get 25% off or 50% off for the next two days. Then we were able to get 150 to 250 sales in a matter of three to four days that spiked the algorithm. We optimized our listing which we talk about in our training. So all that stuff was done. All that work was done but it didn’t happen overnight. It might have taken six weeks before we started getting some organic rankings. So be patient. We understand that it takes time to get traction. But we follow the same roadmap and process for every product we launch. The work we did six months ago is paying off now. Let me repeat that. The work we did six months ago is paying off now. Be patient. That’s number three. You guys might even want to actually go to the blog post on this one, because I’m going to be including these in the show notes. So why don’t I give you the show notes right now? That would be a good time for it. theamazingseller.com/448. That will be all this and some notes for you and give you a little bit of structure. [00:22:04] Scott: So number three is be patient. Number four, building an email list or a launch list. We call it an email list to do multiple things but you could just build it to launch your products but we do it to launch our products but then also do future promos but then also have people share our content. If people can share our content then it brings more awareness to our brand, bringing people into our brand and then once they get into our brand they are now more comfortable to buy through us whether it’s through Amazon or through our own channel. And we’re still not there yet. We’re actually in the process as I speak right now we are about ready to launch our first funnel that will give people from our email list. They will give them the opportunity to buy off of Amazon. Not on Amazon, off of Amazon and then we’re going to be able to bring them like a sales process or a funnel. That’s actually just happening right now. Eight months later, just now. Could we have done it sooner? Sure. But we were focusing on getting everything set up so we were ready. Ready for the big game. Now, we’ve had a lot of great days before this, not 315 a day but we’ve had some 100 sale days. But that’s our goal too, it’s to get to that 100 sales even when it’s not in fourth quarter. That’s going to happen here really soon. So building that launch list has been critical. We’ve built our own email list but we’ve also built our own social list. What I mean by that is our Facebook Group, our Facebook community. So now if we post something we can also share it to our email list without having to sell them and then when they go there, they are also going to be introduced to our products because on our Facebook page we also have our products because Facebook allows us to put our products on there, almost like a little mini store. See what I’m doing, I’m making this ecosystem in a sense where people come in and they learn about the brand and they can be presented with an offer and get them in usually with a contest. [00:24:01] Scott: So they’re good will is right up front. We’re giving away some massive give-aways and some prizes and then from there people are brought into our ecosystem where we can now educate them or we can give them content that it helps them through whatever they are doing and using our products and all that stuff. Building the email list is critical. And again, I’m going to go back to if you have not attended… I’ve got two things. If you have not attended our build list workshop I would definitely recommend that. That’s at theamazingseller.com/buildlist. Totally free. You don’t even have to give your email address. You just go there and start watching that workshop that you did which shows exactly in detail how we build a list for either launching or just an email list to really kind of get that following behind your brand. So that is there and then the other thing is the five part series, it’s in there as well as part of one of those sections or the steps in this process. So that’s a big one. We did that right away from the start before we even had our first product launch, before we even had our first product ordered we were building a list. Before anything, that’s what we did. So it’s really powerful and you can tell we really believe in it. For us it’s been a huge assent and we continue to build it. Number five, real expectations. We have real expectations. We’re not sitting here thinking we’re going to do $100,000 in a month. Just don’t. It’s not real expectations. You shouldn’t believe that either. Even $50,000. We’re just at that point now after eight months but we weren’t there before and we didn’t think that we were going to be there in three months. We didn’t think that we were going to all pull money from the business in two months. We’re just starting to pull a profit now. So real expectations. I know it’s hard with the gurus in our space, so called gurus flashing big screenshots or throwing like big numbers at us. No. It’s… Don’t get me going. So real expectations guys. I’m here to give you real expectations. We have real expectations. Again we focus on finding products that can do $100 profit per day. That’s ten by ten by one. That’s our expectations, that’s what we’re shooting for. And then we find multiple products that can do that. It’s pretty simple business model. So real expectations. Then from there once we learn that stuff we can build and scale and it’s just a matter of just broadening. Whether it’s getting more traffic, whether it’s going outside of Amazon to get more sales, whether it’s just launching more products on Amazon. [00:28:00] Scott: We can do that after we go through that process but real expectations. And the final one, six. This is number six, never give up. It’s not an option for us. When you start something, you’re thinking to yourself, “I’ll give this thing a shot but you having at the back of your mind, well it might not work and if it doesn’t I can always stop.” You can but we’re not wired like that. At least I’m not. Like I’m not going to give up on that. Now, if that product does not work, I might give up on that product but if I go in and I say I’m going to try to make this brand work, I’ve done all my research and I’m going to give it everything I got. Now there may come a time that I need to pivot, that’s okay but I’m not giving up. If you’re going to jump from this business model to another business model, to another business model you’re jumping around too much. You’re not giving it enough time. You have to commit to it, you have to say to yourself like I’m going to give myself a full twelve months. I’m going to give myself and I’m going to give it everything I got. I’m not going to get side tracked with how this guy over here is making money on kindle books and this guy here is making money selling multilevel marketing thing, some type of supplement or… I’m not going to get side tracked with that stuff. And you shouldn’t either. If you focus on what you’re doing and spend all of your energy on that you’ll have a much greater chance of succeeding. But you can’t even have that option in your head you can give up. It’s like you sign up to play a sport. Like when I was growing up, if I signed up for a sport, I played that sport. I didn’t quit. You ain’t going to quit. If you don’t want to play next year that’s fine. You’re not quitting. You just don’t give up. You don’t quit. It’s just an option like I said for us. We’re continuing to learn, in the market that we’re in but in anything that we do we’re continuing the learning and we want to keep learning what the market wants and it’s really simple. Once you learn what they want you just deliver great products to them and then they can possibly buy. Never giving up. [00:30:04] Scott: So let me recap those for you really quickly. Number one, just start. Number two, we found that launching multiple products is really definitely a huge advantage. Three, be patient. Go in it for the long game not for the short game. Four, build a launch list. That’s another huge asset, another thing I think especially moving forward, “Isn’t Amazon getting saturated?” Well, it is with people that are out there trying to find like these little widgets that everyone is selling or maybe you’re going after the products that are selling 100 units per day. It’s going to be harder but if you build an email list or some type of launch list or some type of list that you can drive customers to your products you’re going to be ahead of the game because a lot of people aren’t going to be doing that. Because it’s more work. so building launch list. Five, real expectations. Don’t get sidetracked by all of these other shiny little objects that people are throwing at you or these screen shots, any of that stuff. Just block them out, you might even want to do a little cleans on your email and only follow people that are giving you real value and that aren’t like flashing the lambos. “Oh, I got a lesson for you today. Oh before I do that let me drive you over in the lambo.” No. I would block them. That’s what I would do. You might want to do a little inbox clean. Then six, never give up. Never give up. And of course, I can’t leave out taking action every single day. If you commit to doing something that’s going to work on your business every single day would you agree that you’re going to have a better chance of succeeding, like wouldn’t you think that that makes the most sense? To me it does. You have to commit to it, you have to be willing to take action, you have to be willing to stay the course and just go out there and seriously just make it happen. It’s not an option to not make it happen. Just you got to go out there, you got to figure it out. The other thing is, I want to throw this out at you. To be very clear. [00:32:04] Scott: I went through this in the past episode, where I actually walk you through how to find your number. Like that’s really important that you do that because if you know that number then you have that plan that you can create and then you can execute. If you didn’t listen to that episode, I would strongly recommend listening to that episode, that’s theamazingseller.com/447. It’s not that long. It’s under 20 minutes. It’s got some action steps for you to do. It’s going to be crystal clear for you. So definitely, definitely do that. So, guys that is going to wrap this up. I did want to remind you that our last workshop we just did but the replay is still up depending on when you’re listening to this. If you’re interested that is where we offer access to the class and registration. So definitely go check out the workshop and just a little reminder like I said, the private label classroom will be closing for 2017, will be reopening in 2018. Super excited to be working inside of the class with all of our students and jumping out on our monthly hangout calls and going through how we’re going to build our business even bigger and better in 2018. Definitely look forward to seeing you inside of the workshop and possibly inside the class. [00:34:02] Scott: If you have any questions you can always email me questions@theamazingseller.com and I’d love to hear from you and guys I think that is going to wrap it up. The show notes can be found at theamzingseller.com/448. So that’s it, that’s going to wrap it up, remember guys as always I’m here for you, I believe in you and I am rooting for you but you have to, you have to… Come on say it with me, say it loud, say it proud, “Take action.” Have an awesome, amazing day and I’ll see you right back here on the next episode.